The West Highland Way is the first and most famous of Scotland's long-distance walks. It stretches for 95 miles (152 km) of superb scenery, from the outskirts of Glasgow, Scotland's largest city, through its first National Park, along the shores of its largest loch, ending in Fort William, at the foot of Ben Nevis, Britain's highest mountain.This 2011 edition of our popular guidebook was fully revised in late 2010. 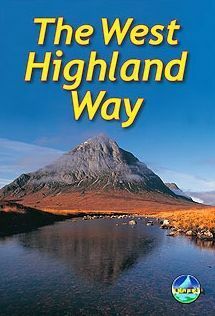 It describes the West Highland Way in detail from Milngavie northward, including the final 'extra mile' in Fort William. It has many fresh photographs and many updates, and contains all you need to plan and enjoy your holiday on the West Highland Way.